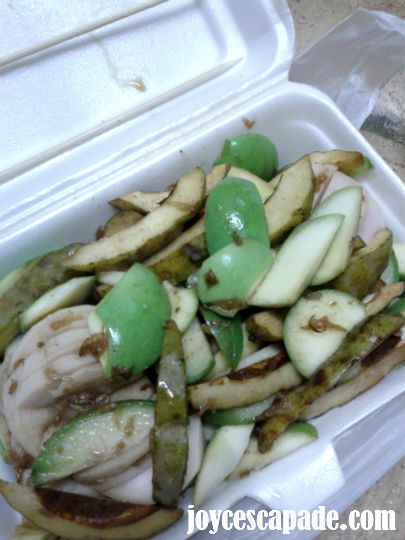 Colek Buah is a traditional dish similar to rojak buah. It is a popular snack among locals because it is light, tasty, and best eaten while spending time with friends and family. 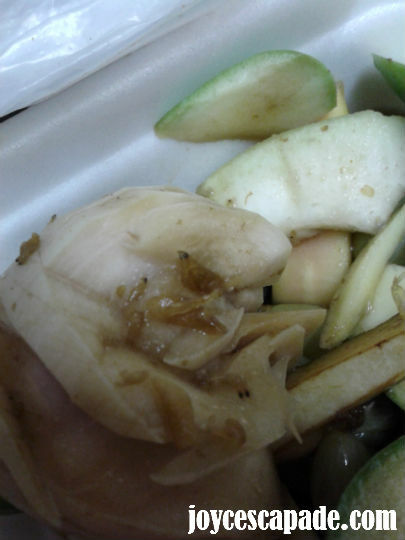 A good pack of colek buah contains a few types of cut fruits. 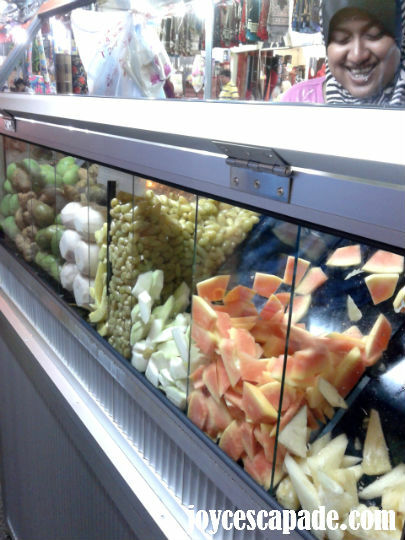 For this stall nearby the famous night market at Wakaf Che Yeh, Kota Bharu, the lady seller uses local fruits and preserved fruits from Thailand. 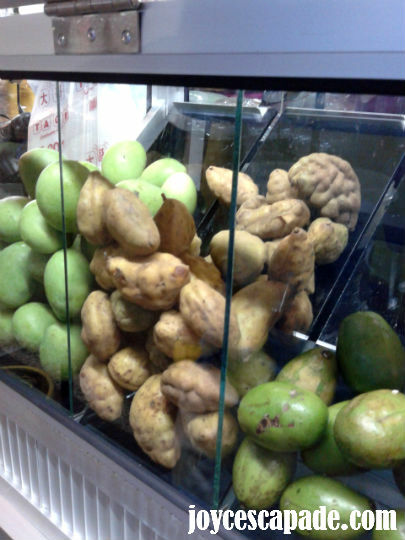 Local fruits include pineapples, mangoes, guavas, young mangoes, buah kedondong, and buah katak puru (the brown-skinned fruits that resemble potatoes in the photo above). 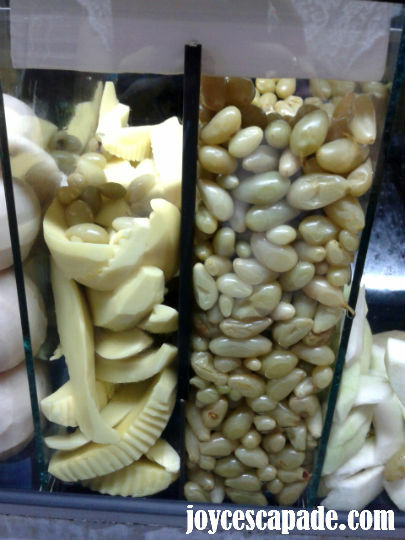 Preserved fruits from Thailand include preserved mangoes and mini white grapes that are super duper sour. 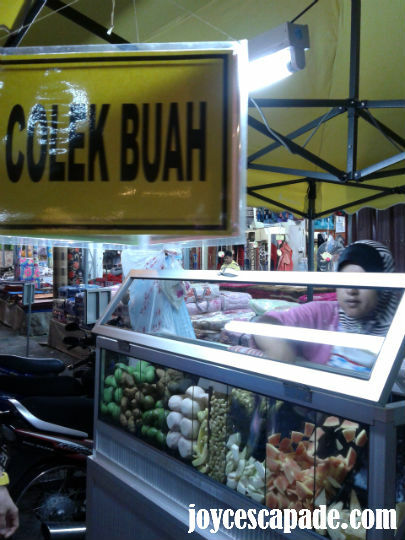 There are nine types of fruits mixed with dark, sweet and salty sauce in the colek buah combo that I bought. You can see tiny dried shrimps in the sauce too!